Harajyuku （原宿、はらじゅく） is one of the center place of Japanese youth culture, and there are numerous shops for young people in Harajyuku. If you have no interest in youth culture, it is worth visiting Harajyuku because the most popular shirine, "Meiji shirine （明治神宮、 Meiji jingū）" is located at the west side of Harajyuku. 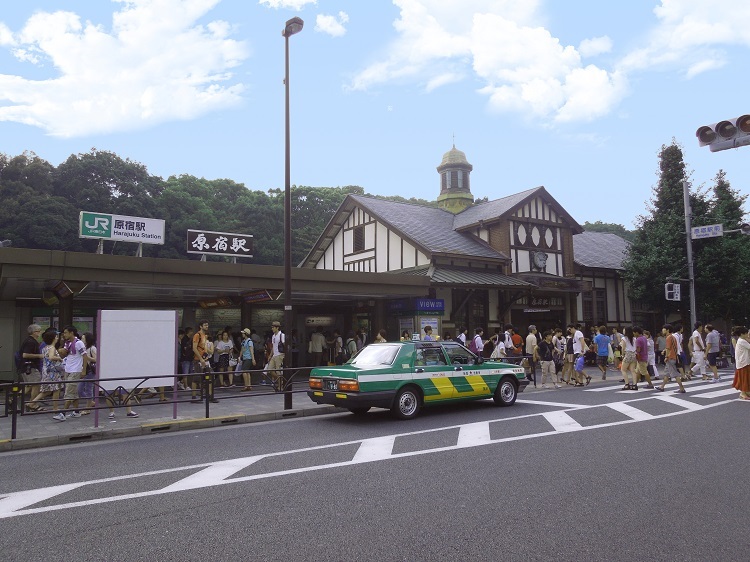 The main street, "Takeshita street （竹下通り、 Takeshita dōri）", is the east side of Harajyuku station (JR Yamanote-Line) and Meiji-jingūmae station (Tokyo Metro Chiyoda-Line and Fukutoshin-Line), and there are numerous shops of brand-new and used clothes, cosplay (costume play) goods, accessories, cosmetics, and elaborately (or eccentric) designed items. Therefore, Harajyuku is popular place for cosplayers who want extremely flashy clothes. Especially, Harajyuku is croeded on sunday, and the spectacle must surprises you. The main street; "Takeshita street （竹下通り、Takeshita dōri）"
Walk 400m alnog Takeshita street, you arrive the end of the street and the area called "Omotesandō （表参道、おもてさんどう）". Unlike Harajyuku, Omotesandō is full of brand-name shops and boutiques. 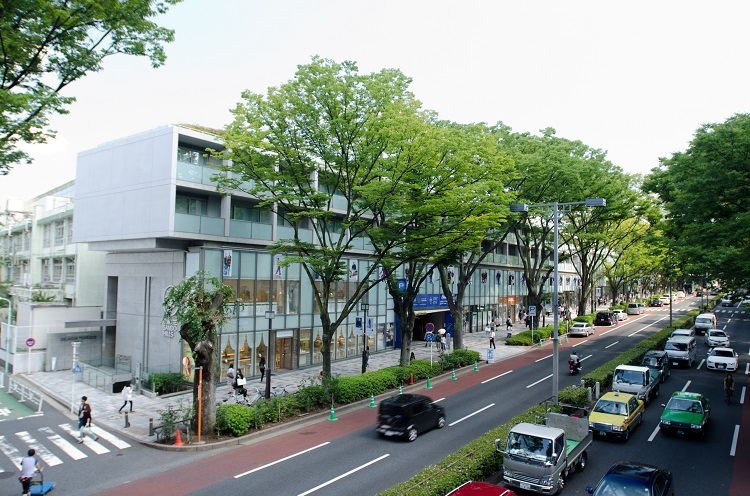 Among them, the symbolic shoping complex, "Omotesandō hills" is famous for the its artistic structure and size. 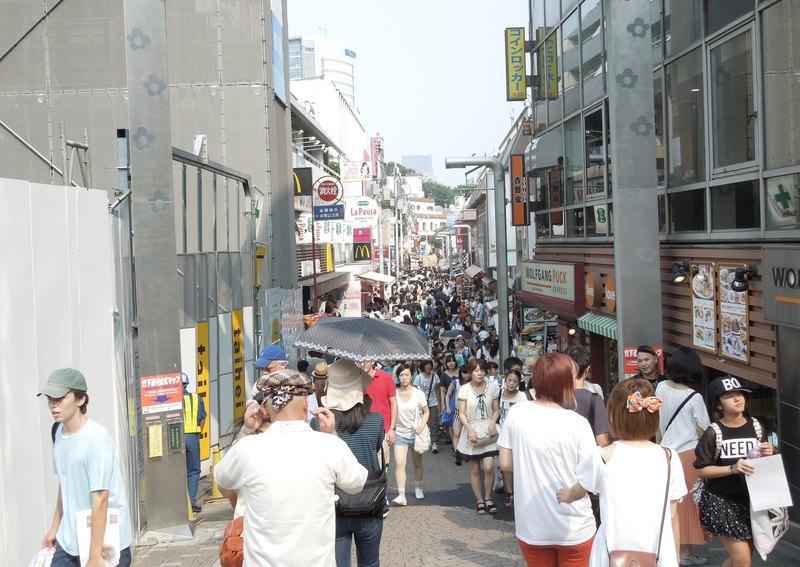 Omotesandō hills includes more than 100 shops and restaurants and deal in various kinds of items for men and women. Moreover, other sightseeing spots are in Omotesandō. Oriental Bazaar （オリエンタルバザー、おりえんたるばざー） is the largest souvenir store in Tokyo and sells Japanese traditional crafts, tableware, and kimono (Japanese traditional clothes). Also, Nezu museum （根津美術館、 Nezu bijyutsukan） is at eastern Omotesandō, and a lot of precious items from east Asia are exhibited. The atmosphere of Omotesandō differ from that of Harajyuku.